The Square Card Reader has quickly become one of the most popular mobile credit card machines in the UK. The reader itself costs just £29 for UK customers. And standard transaction fees in the UK are a flat 1.75% for debit and credit card transactions paid via chip & pin or contactless. This makes it among the cheapest card machine on the market. However, what really sets it apart are all the other features it offers. Below we’ll examine them in a bit more detail. The Square Card Reader is somewhat similar to a mobile PDQ machine. 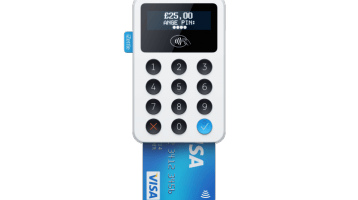 They can both be used to accept chip and pin or contactless payments anywhere you can get a mobile signal. However, the Square Reader does not require a merchant account, monthly terminal rental fee or any contract. Therefore, it can be a very affordable way to start taking payments. Just be aware you will need an Apple or Android Smartphone and/or Tablet (iPad) with a data plan before you can begin using your card reader. This is not included in the price of the card reader, but is something you likely already have. Take chip & pin, contactless and mobile payments. Accept Visa, Mastercard and American Express all for one low rate. See normal deposits in your bank account as soon as the next business day. Includes a a free point-of-sale app which works on both Apple and Android devices including smartphones and tablets. Can also be used to sell online, by phone and collect payments via invoices. A full feature list can be found on the Square Website. This includes: Debit, credit, corporate, prepaid and rewards cards. Discover, JCB or Union Pay are not currently supported in the UK. You can also accept Apple Pay, Android Pay and other NFC-enabled smartphones and watches. Square have made this short video explaining how accepting contactless, chip & pin and swipe payments work using the Square Reader. Square meets Level 1 PCI Data Security Standards and never sells data to third-party vendors. The Square app does not retain payment card data on the mobile device or within the application. Square performs data encryption within the card reader at the moment the card comes in contact with the reader. Square complies with the Payment Card Industry Data Security Standard (PCI DSS) on your behalf so you do not need to individually validate your state of compliance. Square Card Reader Features Score: 5/5 has all the features you’d expect for a mobile card machine. Square has among the most transparent fees in the UK payments industry. Overall, their fees are among the lowest compared to similar companies. 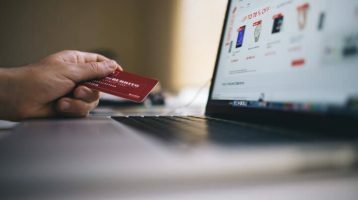 However, depending on your transaction volumes, these fees can work out to higher than a standard merchant account and card machine combination. Reader Price: £29, Buy it here. Transaction fees: Flat 1.75% for Chip & Pin or Contactless payments or Flat 2.5% for online, invoice or keyed-in payments. Card fees are included in Square’s fees, so you will not incur any extra charges from card companies. At only £29, getting a Square Reader can cost a lot less than what some companies charge just in set-up fees. However, your biggest long-term cost is probably not going to be the cost of buying the reader, but how much you spend on transaction fees. If your business processes just £1,000 per month by card, you’ll end up paying £17.50 a month (£1,000 X 1.75%) or £210 per year in fees. While the fees are very easy to calculate, they are far from the lowest out there. Depending on the type of business you run, your transaction volume, credit history and a few other factors, you could easily pay less than 0.4% per debit card transaction and less than 0.7% per credit card transaction. But just be aware these lower transaction fees do generally come with a whole host of other monthly and compliance fees. 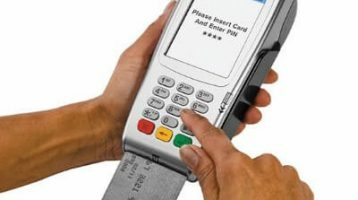 So overall, if your business processes £1,000 a month or less by card machine you’re almost certainly better off going with a Square or other similar reader (e.g. iZettle). However, if your business does more than £1,000 a month by card you may want to compare with a standard merchant account company via our form above or another comparison site such as Cardswitcher. 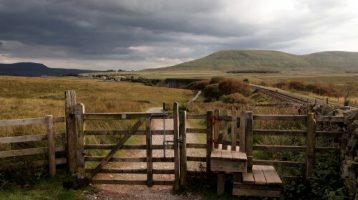 To better understand how this all works have a look at our 2019 UK Merchant Account & Credit Card Processing Fee Comparison. Square Reader Cost & Fee Score: 4/5. Wile the reader costs are low and the fees are transparent, you could still end up paying more if you process a large value of transactions each month. 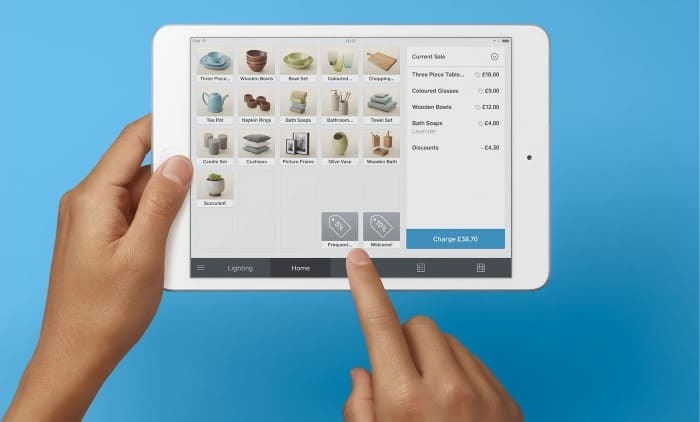 Square offers a free Point of Sale app for both Android and Apple devices (Smartphones and Tablets). While the app is completely free, you can’t process payments without a Card Reader. Conversely, you’ll need to download the App once you buy your card reader before you can start taking card payments. Process payments right on your device. Record cash and other forms of tender. Customise your products with photos, names and prices. Send receipts via email or text message. Apply discounts and issue refunds. Access real-time sales data and complete sales history. Connect to a receipt printer, kitchen ticket printer, bar code scanner and cash drawer. Send invoices free from your Square Point of Sale and get paid faster (2.5% fee applies to invoices paid by card). The following accessories listed below are all optional extras that can help extend the functionally of your Square Reader. Dock: Keeps the Square Reader charged and in place for seamless countertop transactions. Cost just £19 + VAT. OtterBox uniVERSE Case: Attach your Square Reader attaches directly to your phone (iPhone: 6,6s, 6 Plus, 6S Plus, 7, 7 Plus only). Cost from £39 + VAT. The following devices are sold by third parties, but should be compatible with your Apple and/or Android Device. * Ethernet interface thermal printer with 80 mm/3″ receipt paper. No officially supported devices, but unofficially claim DYMO Label Writer 450 works for some merchants. Square Accessories Score: 4/5. While Square doesn’t sell a lot of accessories itself, their device is compatible with many third party devices. The benefit is that you can create a totally bespoke system. The downside is that you may have to spend a bit more time playing around with different product combinations to get your system fully up and running. In addition to being a card reader, Square also offers a range of other functions. Below we look at 5 of the most interesting. The main feature of Square beyond the Reader is their free point of sale software that comes with the App. It allows you do most of the things you’d expect from a much more expensive Point of Sale System. Customers can choose between digital (email or text message) and printed receipts. Drag and drop items and categories, customise your items grid and bring popular items to the front and centre. Timecards at the point of sale. You can learn more on the Square Website. Beyond just accepting payments in-person, you can use Square to send invoices to your suppliers/customers. Sending invoices is always free, but there is a 2.5% fee per transaction if your supplier/customer chooses to pay the invoice via debit or credit card. Create an invoice in seconds. Send via email or print it out. Accept card payments if you need to. No fees for your customers. Store and charge cards on file. Another interesting Square feature is the ability to use it to sell things online, via their API integrations. Like invoices any card payments accepted online come with a 2.5% transaction fee, which is quite high. 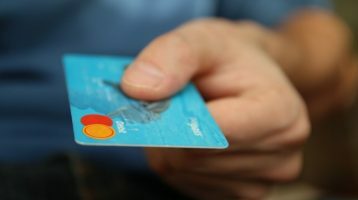 (Stripe charges 1.4% + 20p for UK/EU cards and many payment gateways charge less than 1% per card payment). However, if you’re looking to get started selling online, it’s great place to start. Especially if you’re already using the Square Reader. Learn more about Square’s eCommerce solutions here. Finally, your Square Reader can also be used as a virtual terminal so you can take phone and mail order payments. Again these payments come with the slightly higher 2.5% transaction fee. Type in payments from your web browser. No need for extra devices. Payments you take with Square Virtual Terminal are tracked in real time with all your other Square sales and reports. 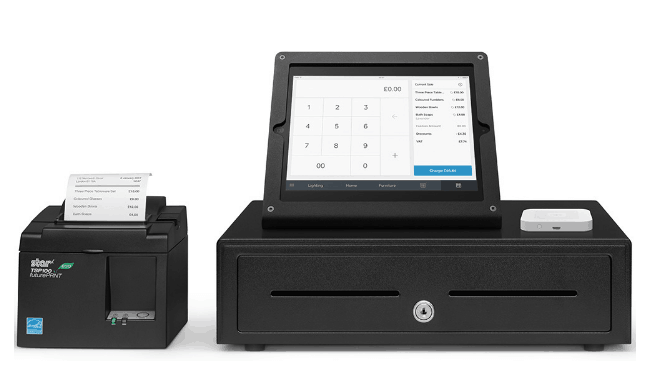 Learn more about the Square Virtual Terminals here. Finally, the Square Reader and POS software can be used to track and manage your employees. While a few basic options are included for free with the software, more advanced features cost £3 per month per employee. Let employees take payments and issue refunds with Mobile Staff. Define roles and permissions across all staff. Set role-based access in Point of Sale and/or Dashboard. Securely delegate permissions to your managers. Access timecard reports with clock in/out action data. View individual employee analytics across reports. Additional Square Features Score: 5/5. Great range of extra products that go above and beyond the competition. Currently there are relatively few real user reviews online for Square UK, although Trustpilot does have a few. Generally speaking they tend to be either totally positive or negative. Additional verification may be required. As with all payment processing companies, Square has some good and bad reviews. However, most of the negative ones seem to be due to account suspensions, which in turn may be due to the types of businesses trying to use it. If you’re unsure if your business is right or not for Stripe, just get in contact with them via their website. 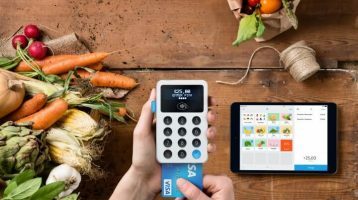 You can see how Square stacks up against it’s biggest competitors in our guide: iZettle vs Square, Paypal, Worldpay & Sumup: 2019 Reader Comparison. Currently in the UK the biggest competitor to Square is iZettle which charges the same 1.75% transaction fee. To learn more and see if the Square Reader is right for you, visit the Square website here or learn more about their special discount offer here. Note please be aware we are currently Square affiliates. This means we may be paid a commission if your purchase a Square Reader via any of the links above. This does not increase the cost for you, nor has it influenced our review. But we feel you should be aware of the fact.